39% of the ARV on this Off Market Leesburg Rehab! 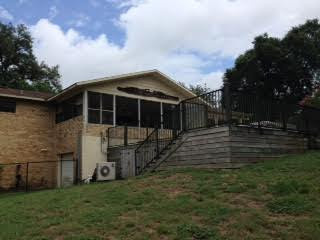 This property is listed as a 2/1 but is really a 4/2 block home built in 1959 and ready for a total make over. The roof and the a/c are new and done already for you and are in excellent condition. However, the inside of the property will need to be gutted and redesigned. The property offers over 1200 sqft and a full rehab is estimated at $40k in repairs. This is a homerun deal, so you know it will not last long! The property is vacant and the showing will be by appointment. Take a look at the pictures and video walk through we provided & make sure your the first one to call!